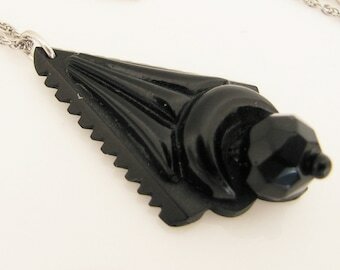 An exquisite Vulcanite mourning pendant cross dating from the Victorian era circa 1880. 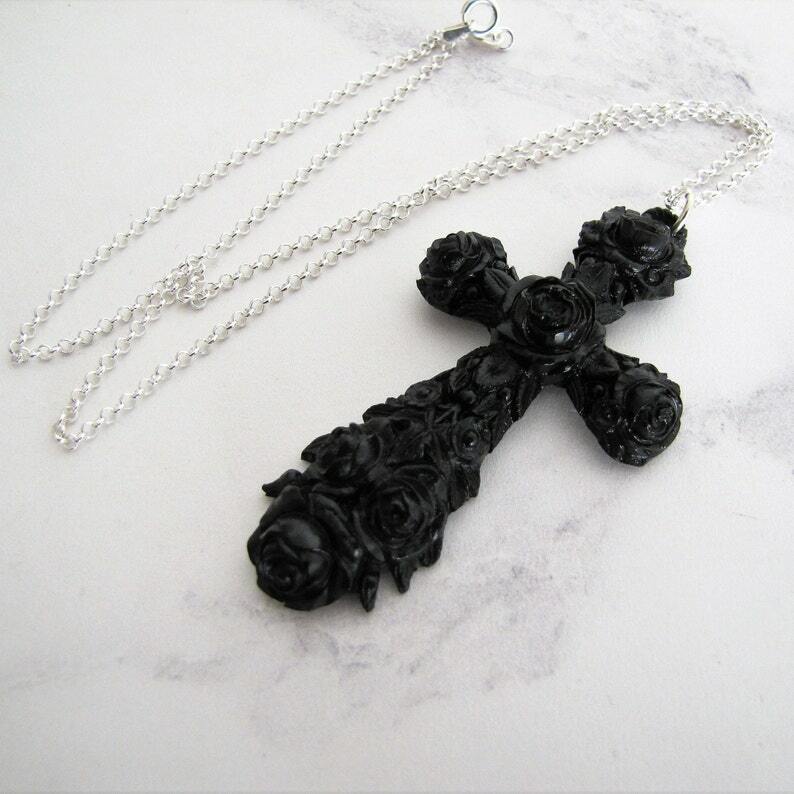 The cross is a nice large size and decorated in a very attractive floral rose pattern that is deeply molded so it is dimensional. It would originally have been worn attached to a ribbon, beaded necklace or a guard chain and we have added a new sterling silver 18" Belcher chain for immediate wear. The chain is high quality, made in the UK and fully hallmarked. The Belcher or rolo chain with its elegant round links is one of the most beloved of antique style neck chains still available today. The cross measures 2-3/4 inches high by 1-1/2 inches wide (approx. 70x35mm) and it is in excellent condition. The Vulcanite still glossy black with no signs of brown oxidation and there are no chips/cracks or breaks around the edge. Any white spots are camera reflection. 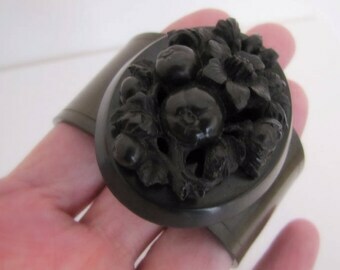 A fabulous example of Victorian mourning jewelry as wearable today as when it was made 150 years years ago, it is bound to bring joy to its new owner! Please note the antique black guard chain shown is not included in the sale but is available for purchase separately.